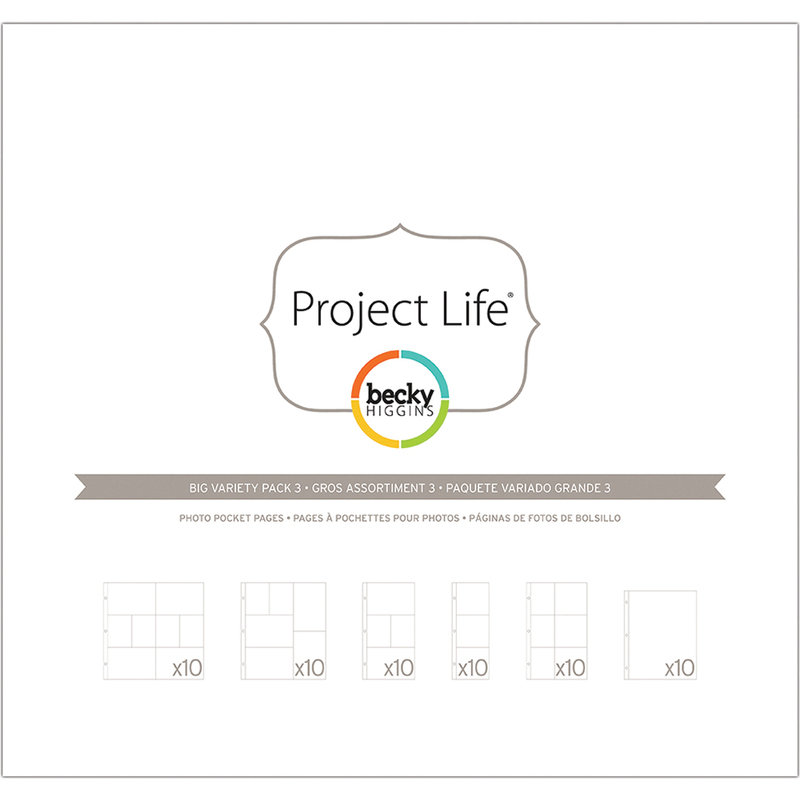 AMERICAN CRAFTS-Project Life Page Protectors Big Variety Pack. Add your personal photos and memorabilia, as well as Project Life journaling and title cards! Fits most three ring 12x12 inch binders. This package contains sixty photo pocket pages in six different designs (ten Design A pages, ten Design G pages, ten Design H pages, ten Design I pages, ten Design J pages and ten 11x8-1/2 inch photo pocket pages). Acid-free. Imported.